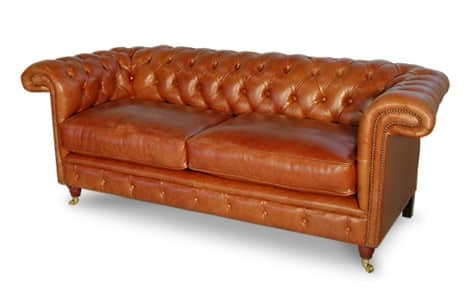 The leather Chelsea Traditional Sofa is the epitome of traditional sophistication. This stunning piece guarantees great comfort with its cushion seat and fully sprung interior back rest. Bespoke to order, the Chelsea Sofa is available as a 2, 3 or 4 seater in various colours and leather finishes.